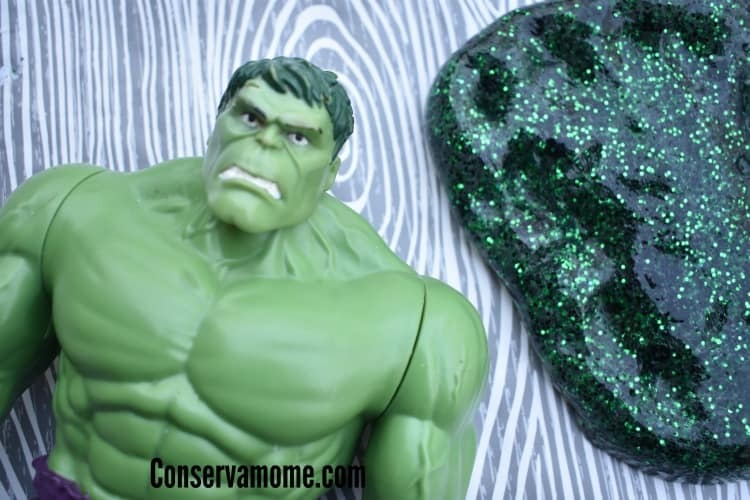 Check out this awesome Hulk Slime recipe that will give you some gigantic fun. Check out how easy it is to make! Today is the big day we get to see the trailer for the new Avengers movie “Infinity War” that hits theaters April 26th. In honor of the fun (and my family’s huge excitement)I’ve got another fun recipe my kids and I put together. We went with the Hulk’s Green and black colors because well, the hulk is awesomeness. 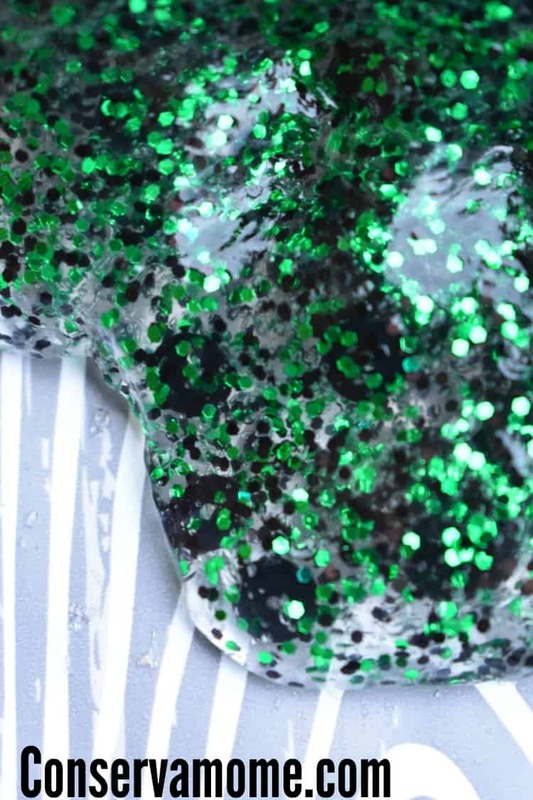 This slime was a blast to make because it really is so neat to look at. From a far it has an overall green tone but once you see it up close it’s another story. So head below and check out our process, ingredients and the final product! Mix 1 teaspoon of Borax into 4 oz cup of water, and slowly add the solution to the glue mixture. Mix as you add and you’ll slowly see the glue form. 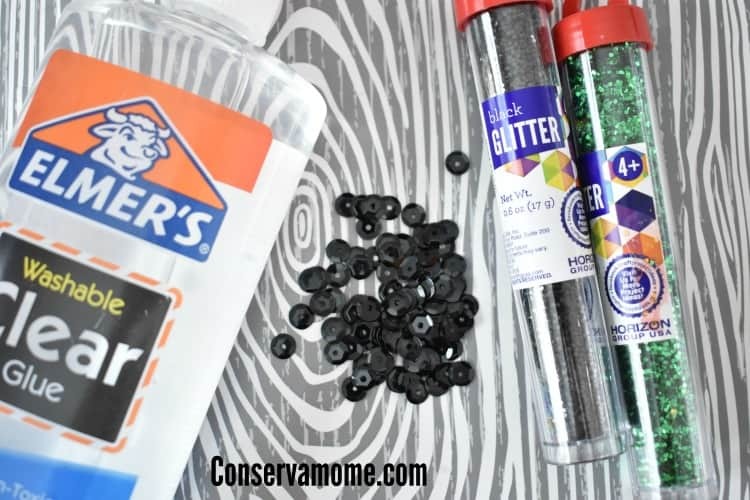 This is a Borax recipe because it’s our favorite and it seems to form nicer than the other mixes but if you’re dealing with a small child or someone that is sensitive to borax you can substitute the borax with 1 table spoon of Baking Soda and about 2-3 table spoons of contact lense solution (add them until it gathers the consistency of slime). 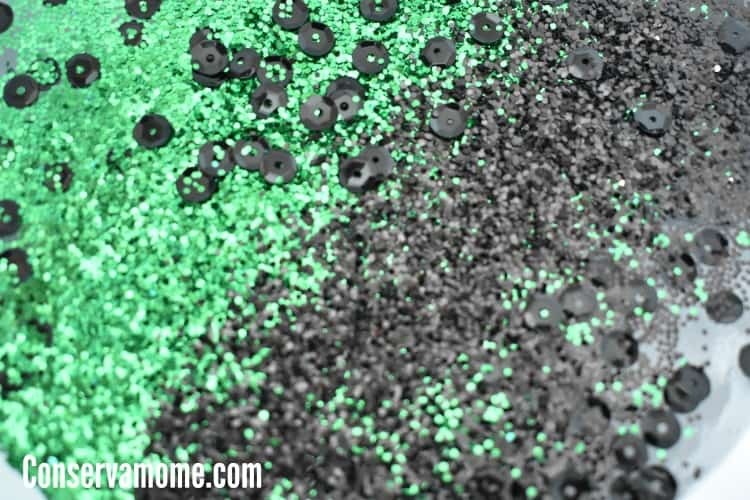 I didn’t use the Elmer’s Glitter glue for this recipe because I felt like the shade was too fluorescent. This one combines so nicely to give it that “Hulk” look and feel. Like I said, from far away it looks one way but up close it’s so neat. Isn’t it gorgeous? Now you try it for your self and see how fun it is! 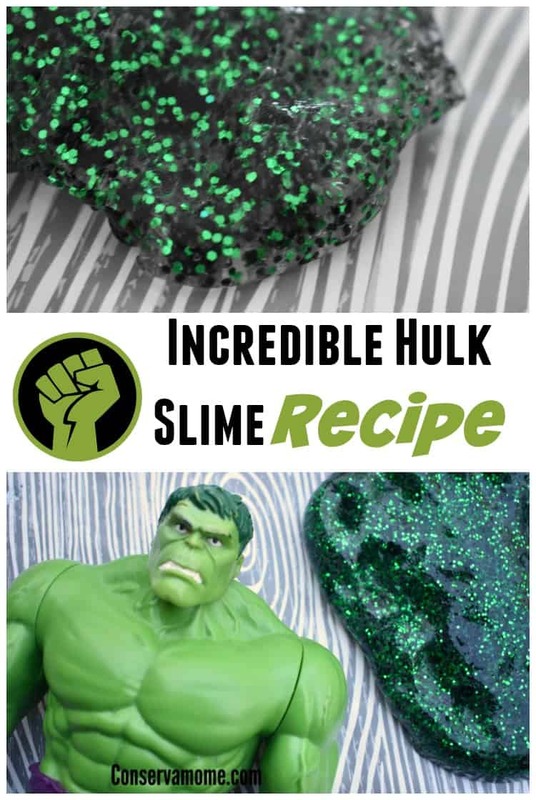 Looking for another super hero slime recipe? 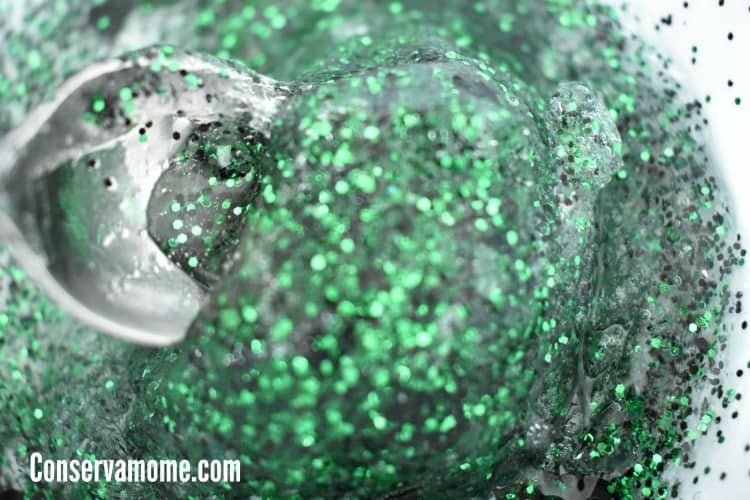 Check out my Iron Man Slime recipe.